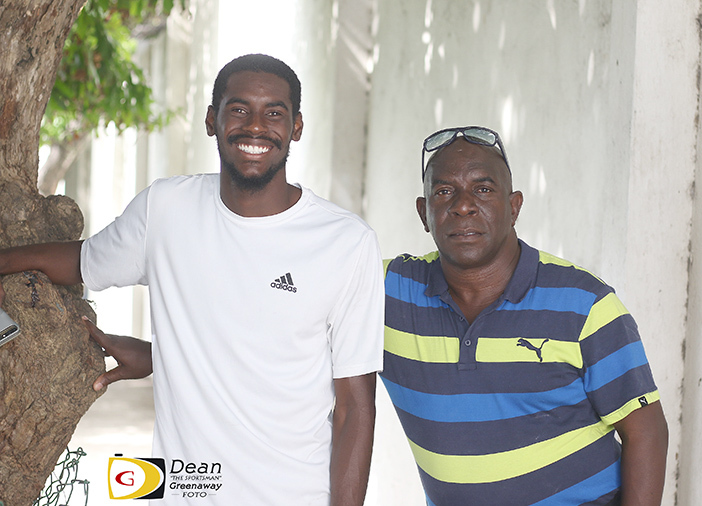 Days before an October 21 funeral was set for his first coach Dag Samuels, Kyron McMaster the world’s fastest hurdler of 2017, signed with a new coach. Samuels who guided McMaster to Central American and Caribbean Age Group Championships 11-12 bronze medal in 2009 and a 13-14 High Jump silver medals in 2011; then a Carifta Games 400m Hurdles bronze medal in 2014, followed by the BVI’s first International Association of Athletics Federation World Jr. Championships 400m Hurdles bronze medal in 2016, died during Hurricane Irma. His funeral is set for 11 a.m. on Saturday, Oct 21 at the Sea Cows Bay Methodist Church. A candlelight vigil will is scheduled in Samuels’ honor, for 6-8 p.m., at the A. O. Shirley Grounds on Friday, Oct 20. McMaster will now be coached by Leonard Graham, who guided Jamaican countrywoman Danielle Williams to the 2015 IAAF World Championships 100m title, at Clemson, South Carolina. He said his first choice was Florida—where he signed a letter of intent last year after winning the IAAF World Jr. Championships 400m bronze medal—but after thinking about it, he didn’t want to be around persons he had a bond with. McMaster said his first week of training has gone fairly good. “The beginning part after off season is never my strong suit but I’m dealing with it,” he said.